Believe it or not, raising the rent is an art, just like a majority of other aspects of property management. One needs to consider a number of issues prior to raising the rent and unfortunately most of them are human elements. For example, there is always the fear of losing the tenant or causing a rift with the tenant asking for more money. There are also legal limitations that are to be taken into account. So, landlords often hesitate from raising the rent. 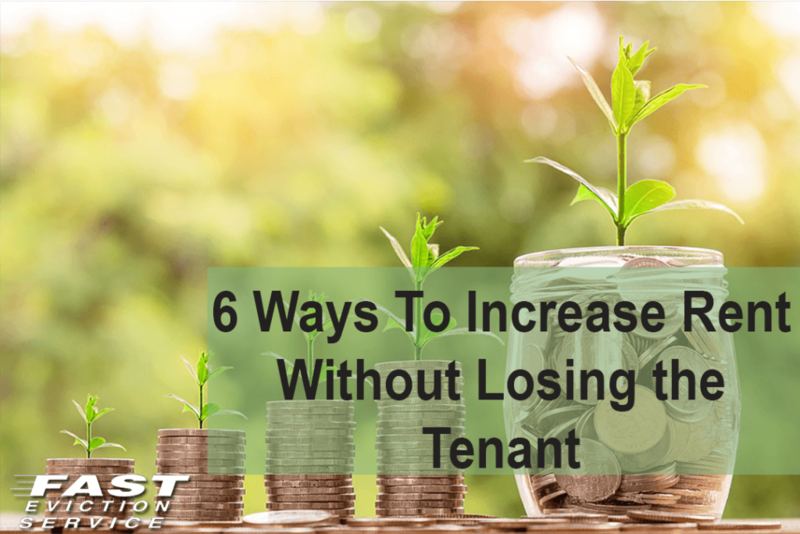 However, incremental rent increases are a key element of successful property management; one cannot do without Inflation is a reality and it significantly diminishes the value of your current rent every year. Conversely, expenses ranging from repairs to taxes and insurance are rising continuously costing landlords financial burdens. The reason why most landlords fail to raise rent without creating issues with their tenants are that they fail to provide for incremental rent increases in their rental agreement, and over time this lets the rent they are charging fall far behind the market level. When they raise rent according to the on-going market trend, it becomes such a large leap that it exceeds tenant’s normal rental budget. Thus, the end result is that the tenant resent the rent raise or chooses to leave the unit. To avoid the hassle we suggest that you follow a rent raise policy and state this clearly in your rental agreement. This usually involves increasing the rent annually by 2 to 4%. This makes it much more manageable for renters and keep the rent competitive. Moreover, it will make renters prepared for incremental rent increases and annual hikes and will be far more acceptable for them having this as their expectation. You are being wise if you are increasing rent by 2 to 4% every year; an increment of 5 to 7% would be slightly concerning for your tenants but over 8% hike would definitely bust their budget. It will be unfair to them because it will be too much of a rent increase no matter how competitive it is according to the market trend. You need to apply a gradual approach in this regard. In case you need to raise the rent significantly, it is better that you offer your tenants another option or an alternative to avoid high rent. For instance, you can offer them to extend the lease, get them to sign a two to three year lease instead of one. This would double the average returns, lower turnover rate and prevent you from the hassle of finding new tenants every year. You need to keep friendly and warm relationship with your tenants. This requires exercising minor tactics, which are harmless but take you a long way in your quest to having cordial terms with tenants. For instance, when you call your renters, try to start the conversation and spend a good 60 seconds inquiring about their personal lives. It is also helpful to keep a record of personal information about every tenant of yours, which must include their family members’ details, professional info and about current events in their lives. These small gestures will enhance your impression a great deal and the relationship will become a collaborative one. Never stick to any single communication mode, always involve two or more communication channels. By law, you are required to send written notice to renter regarding rent increase that too, within specific time duration such as 30 or 60 days before lease expires. But it is recommended that you also choose another mode of communication such as mobile phone. Call renters to confirm they received the notice or email them. To build trust and better relationships you must improve your rental unit’s value. This can be done by asking renters about the upgrades they would like to see in their property and if finances allow you, implement them. Do property inspections and talk to your renters about the property condition every once or twice a year . It is possible that your tenants come up with great ideas that are affordable as well. When you have improved property’s value, you will be entitled to increase the rent in the future by-default.